Posted on March 19, 2019 by treelawyer	tagged. 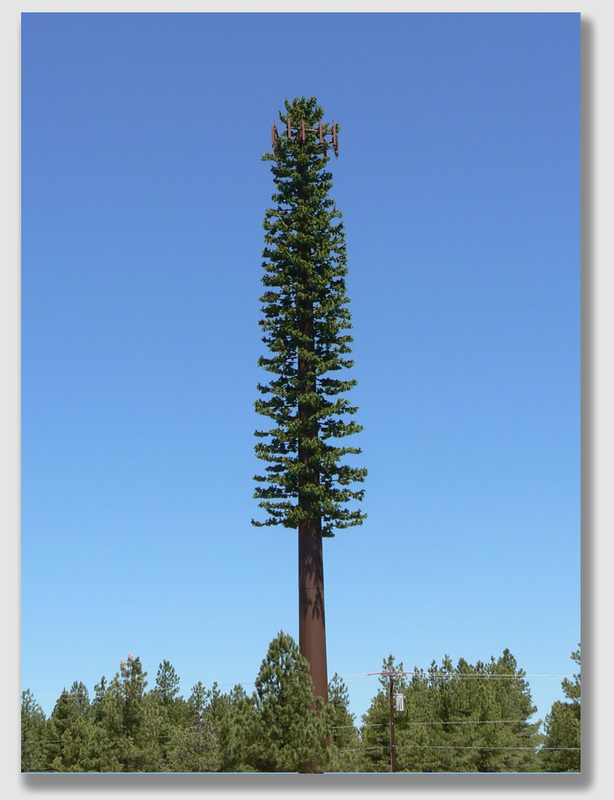 Today’s case has nothing to do with trees, unless you count those awful faux-tree cellphone towers many cities are requiring cellphone carriers to erect. While not arboriculture related, today’s decision illustrates the danger of stretching causation, a risk that has reared its ugly head in tree liability cases before (as we shall see tomorrow). Captain Robert Johnson was a jailer at the Lee Correctional Institution in South Carolina. As a correctional officer, Mr. Johnson was responsible – among other duties – for seizing cellphones and other contraband from inmates. 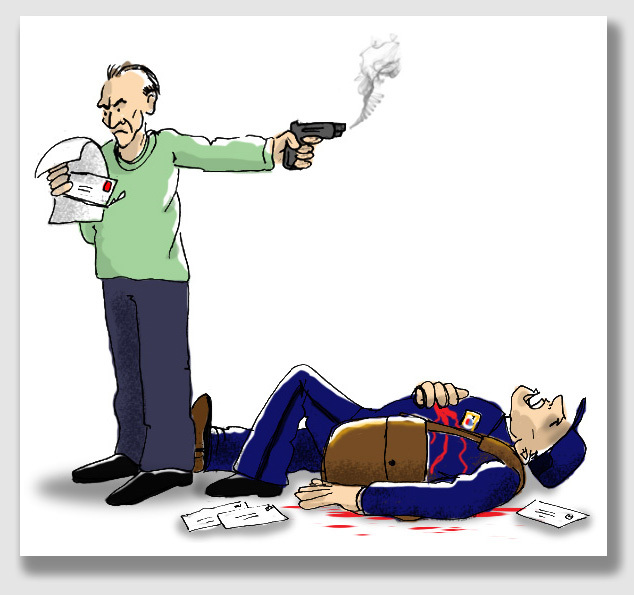 In March 2010, an assailant entered Mr. Johnson’s home and shot him six times in the chest and stomach. His wife, Mary Johnson, witnessed the attack. Mr. Johnson survived but underwent many surgeries and months of rehabilitation. The U.S. Attorney for the District of South Carolina concluded after a thorough investigation that a group of inmates ordered the attack in retaliation for Mr. Johnson’s confiscation of their contraband cellphones and other goods. The U.S. Attorney found that an unnamed inmate had used a cellphone to communicate with the shooter, Sean Echols. That inmate also paid Echols. Echols eventually pled guilty to conspiracy to use interstate facilities in murder-for-hire under federal law. This is where the case begins to provide a lesson for those of us interested in negligence. One would think that the wrongdoers would be sued – the conspirators, the shooter – but the Johnsons knew full well that the inmates didn’t have anything, and the shooter, who’s now serving 20 years, was unlikely to have much of a pocketbook, either. The challenge for the Johnsons’ attorney was to find someone with a deep pocket. He found someone (or several someones). Let’s shoot the messenger, or – in this case – the people who owned the medium used to delivered the conspirators’ messages. Using a “but for” analysis that would have impressed Mrs. Palsgraf, the Johnsons’ lawyer figured that but for the fact that cellphone towers were located near the prison, there wouldn’t have been any cellphone calls from the prison, and thus, no one could have called the shooter to importune him to shoot Capt. Johnson. For that matter, without cellphones, the prisoners wouldn’t have been stirred up to begin with. So who should we sue? The cellphone companies, of course, as well as the guy who owns the land the cell towers are sitting on, just for good measure. Of course, this kind of attenuated reasoning is what makes fat people sue McDonalds for selling Big Macs (no Big Macs, no temptation, no overeating, no fat people), or why a man sued Walmart because a plastic bag of groceries split in the parking lot, a can of LaChoy chow mein fell on his wife’s foot, the foot became infected and she died. Really. It’s too bad Capt. Johnson got shot, and we’re all glad he recovered. But to conclude that cell carriers should pay is to stretch causation to the absurd. I blame the Johnsons’ lawyer, who should have known better. Perhaps a copy of Prosser on Torts should fall out of his briefcase onto his foot, and… well, you get it. Johnson v. American Towers, LLC, Case No 13-1872 (4th Cir., Mar. 25, 2015). Robert Johnson, a prison guard in Bishopville, South Carolina, was shot multiple times in his home. The ensuing investigation revealed that the attack was ordered by an inmate at the prison where Mr. Johnson worked, using a contraband cellphone. Mr. Johnson survived the attack and, with his wife, later brought suit. The Johnsons did not, however, sue the typical defendants – the shooter, a prison inmate or an employee. Rather, the Johnsons sued several cellular phone service providers and owners of cell phone towers, seeking to recover under state-law negligence and loss of consortium theories. The Johnsons alleged that the cell providers “were aware of the illegal use of cellphones by inmates using signals emitted and received at the defendants’ towers” and that “this use created an unreasonable risk of harm.” According to the Johnsons, the defendants failed to take steps to curb illegal cellphone use. In the district court’s view, “the Johnsons’ argument suggests only a desire to conduct a fishing expedition to determine if there is any factual basis for asserting claims against any Defendants… This is not enough.” Thus, the trial court dismissed the case on several technical issues, the most significant of which was that the complaint, even if true, could not make the cellphone companies liable. The Court of Appeals reviews rulings on motions to dismiss de novo, accepting all the factual allegations in the complaint as true, and drawing all reasonable inferences in the Johnsons’ favor. The Court said that the complaint would leave the cellphone carriers unable to determine whether it carried the alleged call without more identifying information.